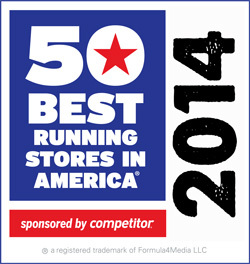 Competitor Magazine is holding its annual contest to determine which running stores in the United States should be honored as one of the 50 Best Stores in America. Why can't Fleet Feet Sports Fox Valley represent Wisconsin?? The magazine is asking for nominations and will feature the winners in the December issue of Competitor as one of the 50 Best Stores in America. Click HERE.